Do you really need a guidebook? 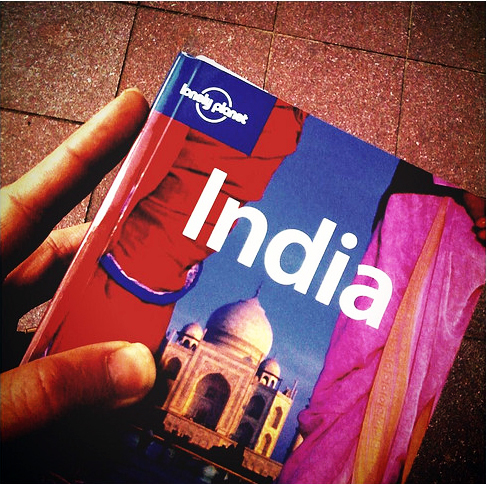 My first ever guidebook was the Lonely Planet on India. I bought it back in 1995 prior to a round-the-world trip with a friend of mine. Little did I know that I would never make it around the world, or that I would leave my LP behind in one of the first hotels on the journey. But nevermind. I still managed to discover India, and who knows what experiences I would have had if that holy travel bible hadn’t gone missing… Maybe I wouldn’t have made it to the Taj Mahal that foggy morning where I met my husband to be? Who knows, maybe there’s a paragraph in the Lonely Planet warning single girl travellers against roaming the streets of Agra at day break? Either way, I choose to think that destiny had a say when my guide book decided to continue its life without me. This has caused me to think of all the other Lonely Planets out there. The company sells a whopping SIX MILLION books each year! Imagine the incredible places these books have been to, the fascinating people who’ve flicked through them, the doors they have opened and the memories they have caused. I know there are others out there. Guide books that is. But I’m still a LP kinda girl. I’ve tried to grow accustomed to the Rough Guide, Fodors, Footprint and Louis Vuitton, but my heart belongs to Lonely Planet. I suppose there’s still a trace of that first love and fascination when I travelled outside of Europe for the very first time. This is not to say we haven’t had our ups and downs. It’s been a bumpy ride at times, and there have been unfaithful moments. The disappointments have been their guidebooks on Norway and Cuba. Both small countries, where they have let me down simply because they published what seems to be the unbiased opinion of one author. However, I forgive and forget and continue to update my bookshelf with brand new editions. Lovely Lonely Planet memories in this post. I true believe that LP is the mother of all travel guides. The name Lonely Planet is fabulous! It illuminates the spirit of travelers wandering in strange countries. It’s a funny thing that only 3 weeks ago I also wrote a post about the factual travel guides (I’ll enclose the link). 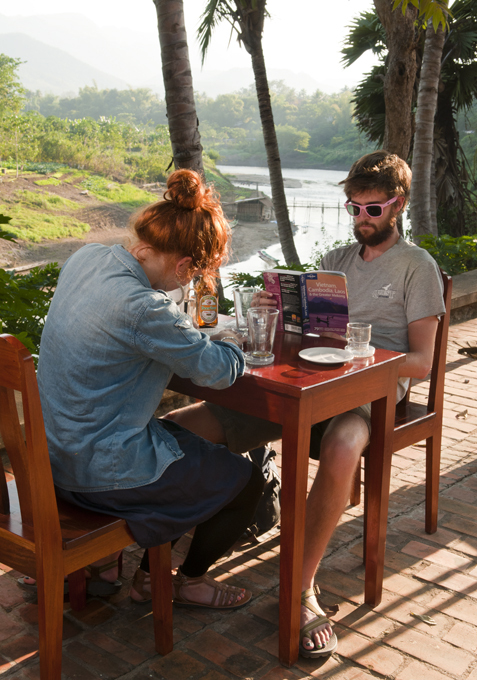 Guidebooks are a great tool to kind a first impression, but when you finally arrived in the country don’t let the guidebook guide you too much! Look around, talk to people, ask questions and let serendipity guide you. For me that’s an added value of traveling. I would love to have a look at your bookshelf, I’m sure it’s an impressive collection! I obviously share your passion for LP. Have just read your post, and find your points of view interesting. Things sure have changed since the arrival of the internet, phase one and two and three (smart phone). Meanwhile, I will continue to cherish my guidebooks as well as embrace all the valuable travel stories online. Thanks for stopping by Emiel! I am a travel writer and Dublin Tour Operator I try to explain to potential Ireland visitors that theirs will be the true Irish experience as each visitor to Ireland encounters a unique flavour of what it is like to be Irish for a day! A story dear to my heart. I read Geoff Crowther’s chapter on Colombia in South America On A Shoestring and just knew I would like the man if I met him and could trust what he wrote. I used to read the LP guides before setting out and copy little notes onto a map in an exercise book and use that – saved lugging big books around. Contrariwise, a hotel in another Lonely Planet guide was much worse than the one next door that we moved to in order to escape the smell of carbolic soap slathered everywhere.